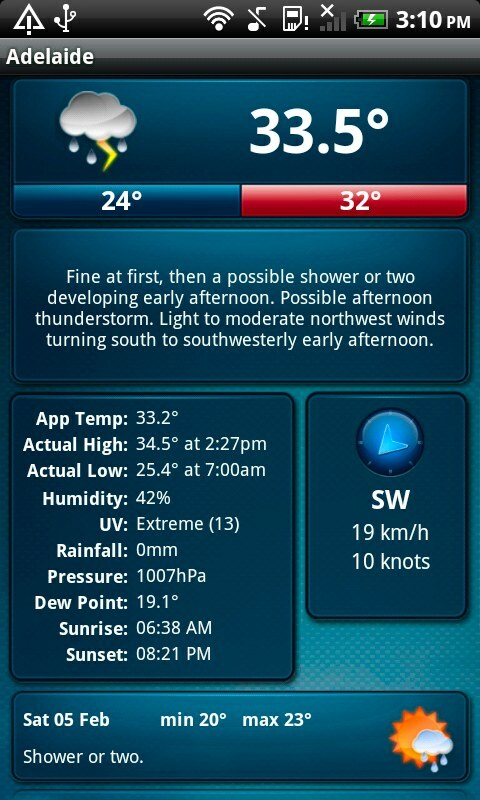 Dose your weather app have the bom radar access yet for android? No worries. If that is the case I will download the paid version now. I really need the radar and like your app. Cheers on the quick response!! Keep the Android support coming! 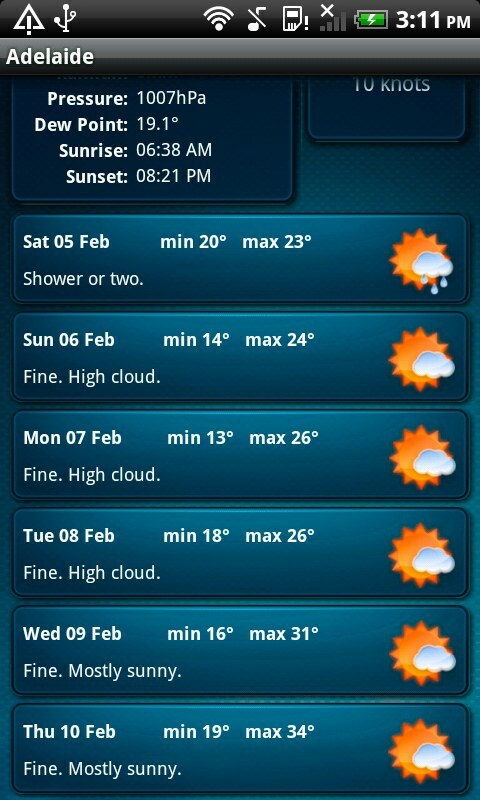 Pocket Weather AU was the first app I paid for on iPhone and now the first app I paid for on Android. Thank you! I expect the Android version to improve, to equal the iPhone version, over time and am prepared to wait. However I do have one wish. Although your widget is awesome it is just too big for my home screen (I’m not giving up that much real-estate, no matter how pretty it is). 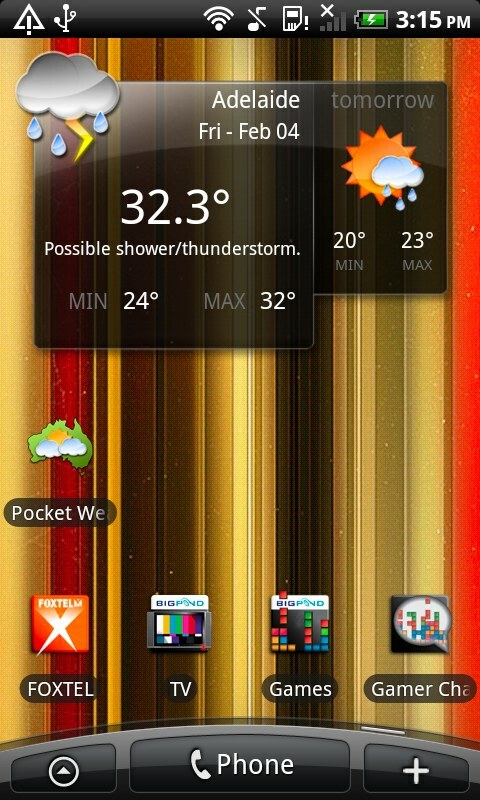 Could you please release a smaller (2X1) widget as soon as possible? Busselton Town location; that gives me the current temp in Margaret River, max and min, humidity, rainfall, sunrise/set and dewpoint. Busselton Airport location; that gives me current temp in Margaret River (slightly different), apparent temp, humidity, wind speed and direction, rainfall, pressure, dew point and a slightly different sunrise/set. I’m sure in the iPhone app you can construct where you source the information from, so you have one entry.